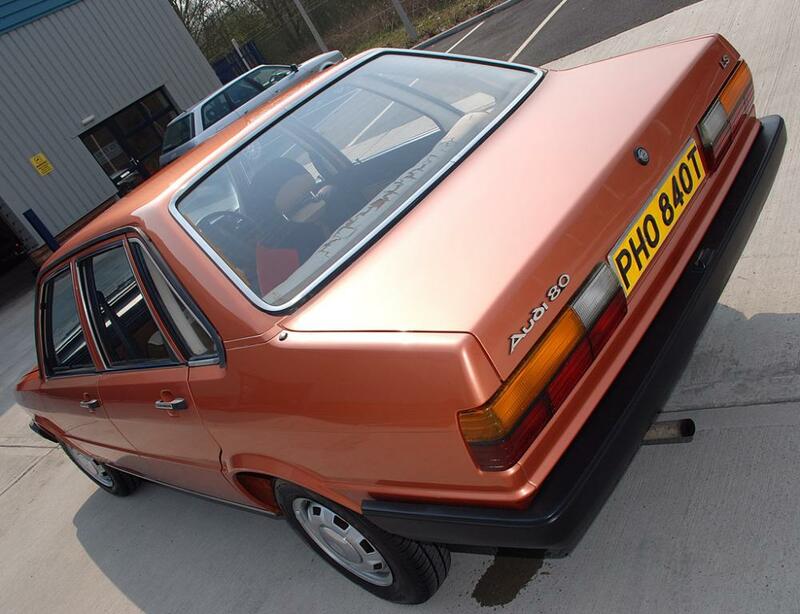 1979 audi 80 1.6LS auto in Kupfer metallic possibly the earliest typ 2 audi 80 in the UK (not seen any older ones about on the B2 platform anyway) pre door mouldings & no fog lights so nice clean lines and rare metal trim round the windows thats still nice n shiney rather than the brittle plastic that fades found on later models, also has the early style 2 tone dashboard amazingly its only done 23000 miles from new with lots of history (spares never been on the car) currently no TAX or MOT engine runs sweet as a nut. I was planning to give it the full works but lack of time, baby, Starting uni through work etc has made me realise it's gonna be a while before I get anything started with it & it's a shame to just see it sitting. Interiors seen better days with it being a lower spec model the fabric used on the seats was pretty thin stuff back in '79 & cosequently its worn through in places, mainly across the top of the back seat. 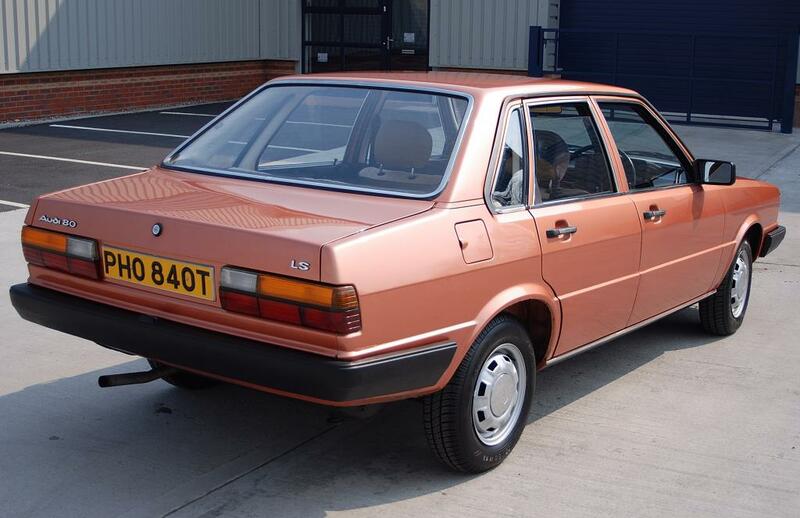 Ideally it'd need painting to be mint the pictures do make it look better than it is (maybe me being pickey) but theres the odd bit of flakey paint in places but overall its a really clean good solid car with no rot etc. If anyones interested drop me a PM & we can have a chat. & I'm located on Burton on Trent. 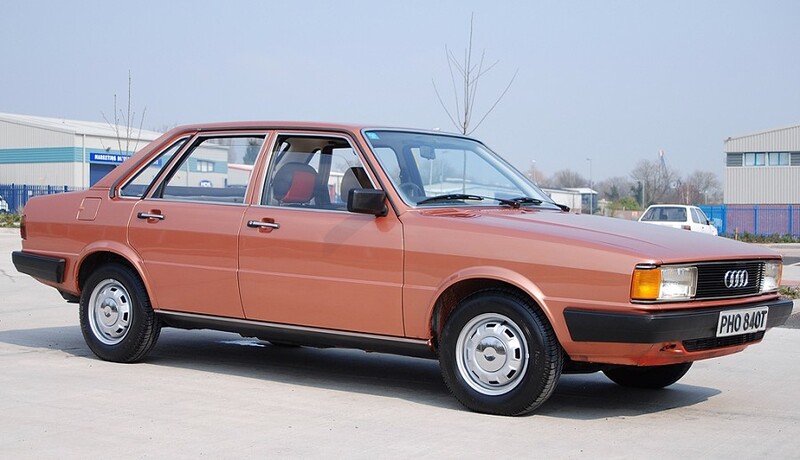 I hate people who post on for sale threads without buying the car, but I must say, that first photo could have been taken in 1979, that really is an amazing looking car.